How Dangerous is the Flu for the Elderly? We have all caught the flu at some point in our lives. But, as we get older it can be vital to take precaution against it. Consequently, as we enter our senior years, our immune systems can’t fight infection as efficiently. Therefore, this is why it is important to keep up with our health and nutrition as we age. Considering how dangerous the flu can be for the elderly, an annual flu shot can become a part of their annual health and wellness routine. 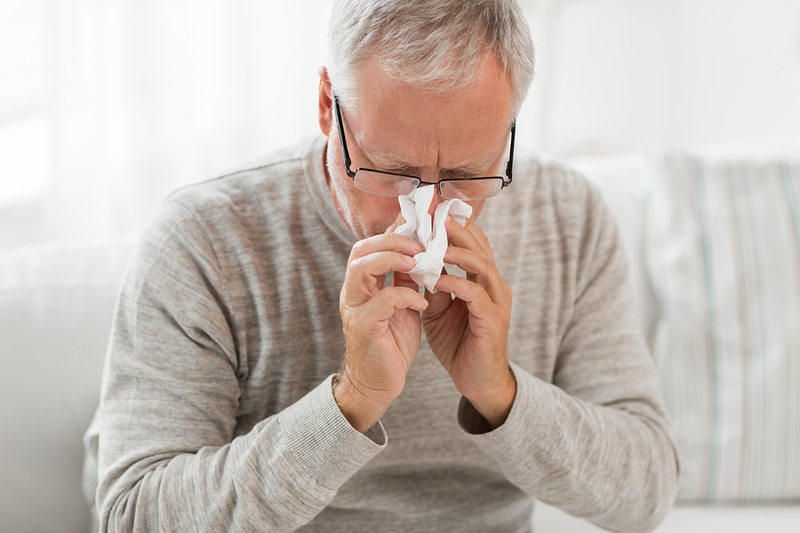 The majority of hospitalizations and deaths resulting from the flu(influenza) come from the elderly population(age 65 and up). The Center for Disease Control and Prevention has noted that between 70-90% of flu related deaths have been in those over 65 years old. The flu season starts to peak between December and February. Therefore this peak means that you and your loved ones should understand the precautions in place to stay healthy. Subsequently, this can mean receiving an annual flu shot. There is even the added benefit of specific senior flu shots. What is a Senior Flu Shot? What is generally different about the senior flu shot is the amount of flu proteins or the way in which it triggers an immune response. The CDC has two “senior” flu shots noted. For instance, these include: the high dose flu vaccine and the adjuvanted flu vaccine. Numerous studies have been conducted on the effectiveness of the senior flu shot. Case studies across the United States and Canada have found an advantage to the senior flu shot. As a result of certain studies, the CDC has made their own recommendations for the flu shot. The CDC noted positive correlations in effectiveness of both types of the “senior” flu shots. What a senior flu shot can do for your or your loved one can mean the difference each flu season. But, above all, it’s important to continually visit your doctor, and talk to them about the decisions you make about your health. It’s good to be informed and understand the options available to you. But, no one can replace the advice of a medically trained professional. Hence, this is especially true in the case of the elderly and those with compromised immune systems. It’s important to find out if you or your elderly loved one is capable and healthy enough to receive the flu shot. At Homecare Powered by AUAF we strive to provide you with the best quality of service and information for your senior loved ones. Hence, this quality is represented in all areas of our practice. In short, If you would like to find out more about Homecare Powered by AUAF give us a call at 877.721.6710 or take a look at our senior home care website. If you found this article interesting, and would like to read more about other issues affecting seniors, take a look at our senior living articles.